Can Natural Remedies Help Asthma? 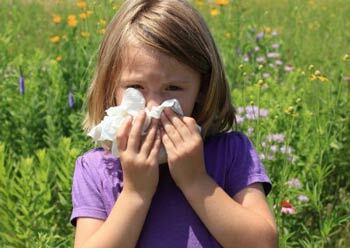 Home/Blog, Uncategorized/Can Natural Remedies Help Asthma? Asthma is a constriction of the bronchial tubes that happens when triggered by foods, environmental allergens, laughing and exercise, internal body systems dysfunction and stress. It is a common disorder of both children and adults. This condition can appear and disappear without warning when the tiny muscles around he bronchial tubes begin to constrict, become inflamed and fill with mucous. Asthma is considered to be an inflammatory disorder. Genetics play a role in this disease, but other factors must be involved as well. The condition is marked by wheezing (especially on expiration), coughing, and difficulty in breathing. Also avoid soy and corn. Therefore, these foods need to be plentiful at almost every meal, especially in the first few months of reducing asthma symptoms. The one test I always recommend besides the standard workups is the cortisol saliva test for the adrenal glands. If there is adrenal gland involvement, as the adrenal glands heal with good foods and natural supplements, allergy and asthma symptoms are markedly reduced. A good all-round product for adrenal support is made by Gaia Herbs. If you think about it, when you have thick mucous plugging the inflamed airway channels, you want to make sure that the mucous becomes less viscous by drinking at least 6 – 8 glasses of pure water as a base standard. Look in the toilet bowl after you urinate. If the water is a dark yellow/orange color, you are not drinking enough. If the toilet water is clear, you may be drinking to much. The urine should make the water look lightly tinged with yellow. This visual test does not work if you are taking B vitamins — they make the urine bright yellow. So, drink up! 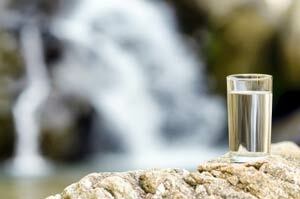 Water that is pure, filtered and fresh — just slightly above room temperature is an elixir of life. Fresh air is paramount. If you live in cities where the air pollution is high, you must remain indoors when the air particulate levels are high. When you exercise it is important to initially go slow if exercise is new for you. Yoga and Tai chi are good exercises because they also incorporate controlled breathing into the movements. Stress and anxiety are major triggers of asthma onset. That’s why meditation and other relaxation techniques are so necessary. I have made special stress reduction meditation/relaxation audio programs for people with asthma to listen to for therapeutic purposes. It helps to prevent an asthmatic episode and to reduce anxiety if an attack is imminent or in the early stages. Listen to nature sounds embedded with soft flowing music. Music for massage and yoga are good titles to Google. Animals residing in the house, especially with access to the bedroom of an asthmatic sufferer can trigger attacks with their dander. Therefore, if there is a house pet, restrict exposure to the animal for a few weeks and see if this helps. All bed coverings, carpets and floors needs to be washed and cleaned if the animal has spent time in the sleeping quarters. If the symptoms are moderate to severe, a very difficult decision needs to be made about relocating the animal. The dander from cats seems to trigger symptoms more than dogs in most people. Massage therapy can be wonderful for an asthmatic sufferer. Chiropractic treatments with soft tissue work can help greatly. Cranial therapy has also helped patients. Along with the asthma reducing factors listed above I have used both marshmallow root and mullein herbs successfully. Inhaling eucalyptus (with a little eucalyptus and lavender) essential oils has also helped many people to cough up mucous and ease breathing troubles. Keep your nose about 8 – 12 inches away from the bottle at first to see how you tolerate the oils. Not being able to breathe is hell. I know. Having suffered from multiple allergies as a child with occasional asthma attacks (even into adulthood with exposure to cats), I understand the anxiety that comes from not knowing if the next breath may be more difficult than the last one. Changing my lifestyle, getting bodywork done and avoiding any processed carbs did the magic for me. I haven’t had symptoms in many, many years. Thanks for sharing this extremely informative article on bronchitis asthma. I recently read about bronchitis, its symptoms and various other allergies, its preventive measures to control and medication for cough & asthma on breathefree.com. I found it extremely helpful.? You can find more treatments and remedies on this as well.